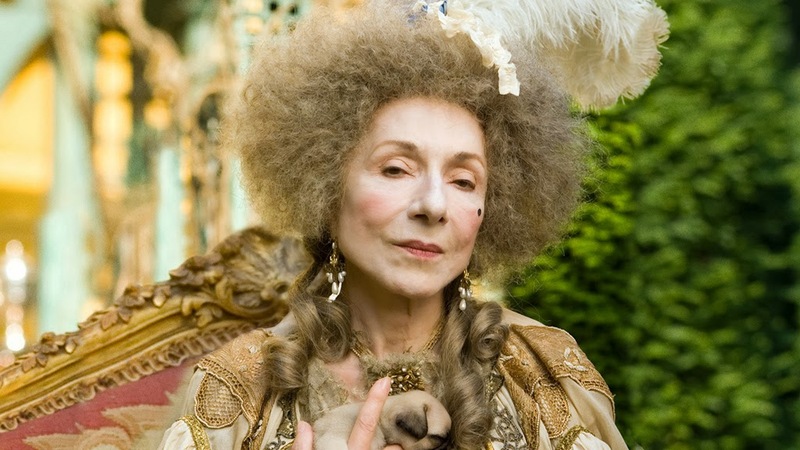 Rodama: a blog of 18th century & Revolutionary French trivia: Madame H. in "John Adams"
This is Madame Helvétius played by Judith Magre in the HBO TV mini-series John Adams, which was first broadcast in the States in 2008. The series was brilliant, but the portrait of Minette and her gathering is unkind, intended mainly as a dramatic device to highlight the discomfiture of the sober and Anglophone John Adams among the dissolute, sophisticated French. I'm not quite sure why Madame H., who was a well-preserved woman in her early sixties, is made to look eighty; nor why everyone, including the men, are caked in quite so much make-up. 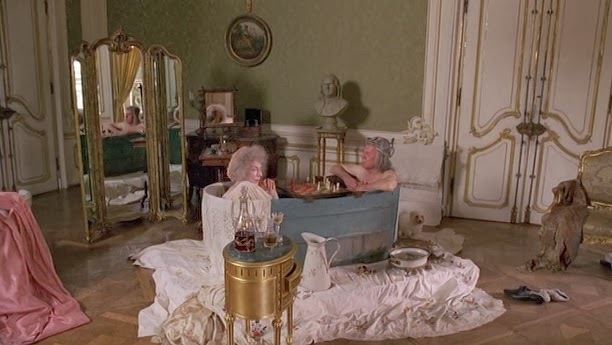 In a memorably comic scene, Adams inadvertently bursts in on Franklin playing chess in the bath with his hostess. This bizarre event is not entirely apocryphal, though it did not involve Madame Helvétius, nor did it quite include a shared bath. Franklin reports in one of his letters that he and another neighbour, Claude-Guillaume Le Veillard, played chess together in the bathroom of Madame de Brillon while she looked on from the tub (presumably decently covered).